Have you continuously tried to diet and exercise regularly — but still come up short on shedding unwarranted body fat? What if there was a way to instantly remove fat, boost your self-esteem and motivate you to change your lifestyle habits? 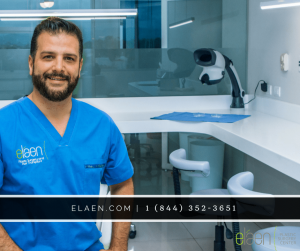 Eláen Plastic Surgery and Hair Transplant Center patients are achieving their body contouring goals with the trusted and popular procedure of Liposuction in Mexico. While liposuction, also known as abdominoplasty, does permanently remove fat cells and resculptures the body, it should be highly noted it isn’t a cure for obesity. Liposuction Mexico is used on areas of the body where fat deposits collect such as the thighs, buttocks, hips and abdomen. It will remove stubborn areas of fat that do not respond to traditional weight loss methods. The best candidates for liposuction in Mexico are individuals who have pockets of excess fat in certain areas — and are physically healthy with realistic expectations. If you are considering liposuction in Mexico, you should be close to your ideal body weight. Tummy Tuck Mexico and other Body Contouring procedures are often combined with Liposuction. Liposuction is now the second-most frequently performed cosmetic plastic surgery procedure in the United States. Many plastic surgery clinics in the United States perform ONLY Traditional Liposuction. Traditional liposuction exists to address small occurrences of fat deposits — however it does little to address excess skin. 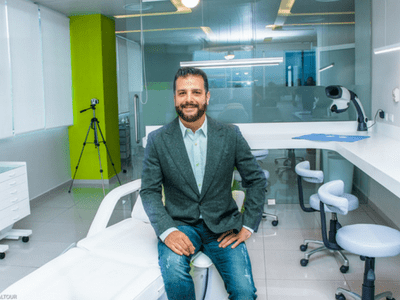 Elaen’s expert plastic surgeon, Dr. Alejandro Enriquez de Rivera Campero, implements a modern, enhanced approach that is the key to optimum body sculpting. By combining Traditional Liposuction with Laser Liposuction in Mexico, our eláen patients lose significant fat bulk in different parts of the body and see an immediate increase in skin tightness. By implementing heat under the skin, Mexico’s leading surgeon is able to remove more fat, more liters. Unlike Liposuction in the United States, Mexico patients also experience less bleeding and less bruising. While most plastic surgeons in the United States take the easy route in placing incisions in plain sight — Dr. Alejandro works meticulously to hide incision scars below the bikini line. Before surgery, he creates his incision lines with a marker while the patient is wearing an actual bikini to achieve this result. To get an idea of the type of results they may be able to achieve, the before and after gallery is composed of results from patients who underwent liposuction, tummy tuck, and other body enhancing procedures. Choosing liposuction is a major decision and patients should be well informed about the potential risks involved before they proceed. To transfer the unwarranted fat, Dr. Alejandro begins with Traditional Liposuction. He then uses Laser Liposuction, a minimally invasive procedure that uses heat from fiber-optic lasers at various wavelengths to melt body fat. The added benefit of Laser Liposuction in Mexico is that it spurs the production of the protein collagen — making the skin more taut. Liposuction (both Traditional and Laser-Assisted Liposuction) is a very safe procedure in the hands of a qualified and experienced surgeon. All procedures, however, carry some risks, including infection, bleeding, scarring, nerve injury, adverse reaction to anesthesia, and blood clots. Because the procedure does not require general anesthesia, eláen patients can anticipate a shorter recovery time. A full return to work and regular activities usually occurs within 2-3 days, while return to exercise should be 2 weeks. Laser Liposuction in Mexico provides patients with minimal side effects, however some minor bruising, swelling and discomfort may occur. Dr. Alejandro will require you to wear a compression garment for 6 to 8 weeks, to further minimize swelling and preserve the shape of your new body. Are you interested in having plastic surgery in Mexico? Many of our patients fly in from all over the world. At eláen Plastic Surgery Center, we provide a caring atmosphere that sets us apart from the rest. Our warm and welcoming staff and surgeons make patients feel comfortable from the moment they enter our offices. Our team is here to guide you through every aspect of your experience. After your initial consultation and evaluation, you’ll receive personalized surgical recommendations tailored to your cosmetic needs. 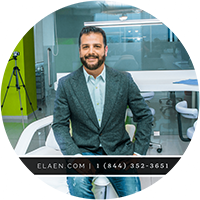 We not only listen to your needs and financial considerations and match you with the best tools and procedures available, but the entire team at eláen is committed to providing you with both the personalized attention you deserve, as well as the highest quality available.